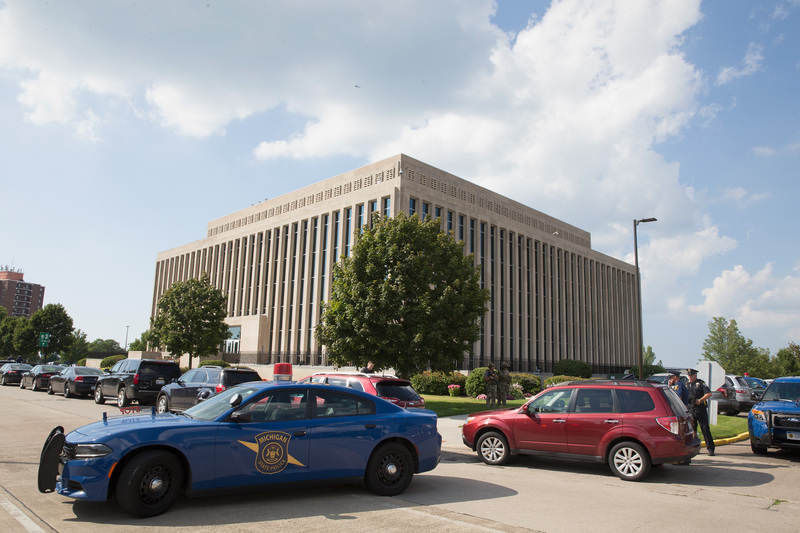 The victims of Monday's courthouse shooting in southwestern Michigan have been identified as Berrien County bailiffs Ron Kienzle and Joseph Zangaro. The two were killed after an inmate seized control of a deputy's gun while being transferred from a holding cell to a courtroom. After retiring as sergeant of Benton Township, Kienzle maintained an adventurous lifestyle. Prior to his death, the 63-year-old army veteran was posting Facebook photos of himself on motorcycles, proving that age, indeed, is just a number. Sadly, his and Zangaro's numbers were tragically cut short. When it came time for Kienzle to retire as Benton Township sergeant, exiting the realm of law enforcement was not an option. Instead of settling down after decades of service, he pursued a new career as a bailiff. Contrary to popular opinion, those responsible for keeping order in the courthouse risk their lives every day. Michigan Supreme Court Justice Robert P. Young, Jr. published a statement to remind the public of these individuals' sacrifices and service. This tragic incident is another sad reminder that courthouse employees put their lives at risk every day to serve the people of Michigan. As we await further details and the results of the ongoing State Police investigation, we stand ready to implement steps to further strengthen courthouse security to better protect both employees and the public. According to the Officer Down Memorial Page, Kienzle had served in law enforcement for 30 years and had been a bailiff for 10 years. The veteran's daughter posted a statement about his death, expressing both anger and sorrow. Kienzle will also be missed by his granddaughters, among others. My daughters, myself my husband and all of my family are deeply sadden and distraught over this senseless act of violence. You were the best dad anyone could ever wish for. You were always there for me when I needed you. I love you dad. You will be missed greatly. I know you are watching us from heaven. You were a kind soul Ronald Kienzle, and this community will never be the same without you! I know your daughters will be heart broken forever, but they should also know what a hero you were! Fly high big guy!! Though his life was taken too soon, it's clear that Kienzle has positively impacted numerous individuals' life during his time with law enforcement. As a bailiff, he protected audiences during court trials, just as he helped celebrate courtroom weddings. For that, he will be deeply missed by community members who regarded him as a great friend.